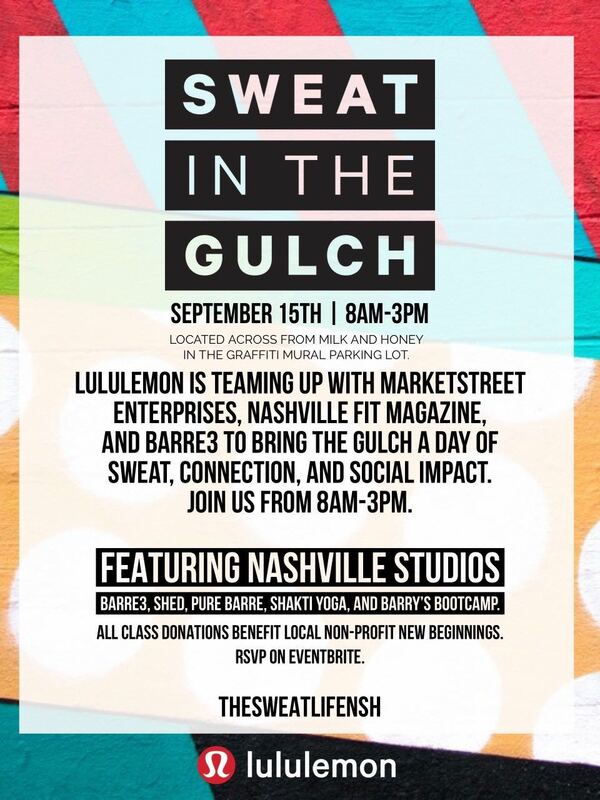 I had recently moved to Nashville and a friend was telling me about this great fitness program that was unlike any “gym” she had ever seen. She shared some of the statistics of success so I attended an open house. I thought, “Where are the machines?” I had only ever worked out in a typical place lined with weight machines. I made an appointment to learn more. Tash asked me questions that really made me think about how I wanted to live my life. She delved much deeper, asking questions well beyond the usual fitness goals, etc. She convinced me that if I subscribed to the tenets that TNB proffers, I could make the substantial, life-long habits that I desire. Around the same time, my 80-year-old mother who has many health problems moved here and I realized that I did not want to look like her at 80. It was time to make the necessary lifestyle changes NOW to insure that I would be strong, active and thrive as I age. I was truly motivated to commit to the program and I am so glad I did. I started out really weak and had to compensate for some injuries. A lifetime of skiing had taken a toll on my knees. I had no stamina and lacked muscle tone. While I still have a way to go, my energy level is higher than it’s been in years. I feel much more self-confident when I complete an exercise that use to challenge me. I recall watching other women with strong, powerful kettle bell swings thinking I’ll never be able to do that - now it is one of my favorite movements! I have been on three ski trips and rip up the slopes like I did when I was in my thirties. While I still jiggle more than I want to, I feel powerful and athletic. I’m also more focused on my diet. When I plan my meals and log the food I eat, I know it works. I have a greater understanding on how to fuel my body and the importance of good nutrition. I have all the tools I need make wise choices and strive to maintain the healthy habits. However, when I slack off, the coaches are encouraging and forgiving, which I really appreciate. Hey, nobody’s perfect. The fact that I still come to TNB speaks volumes to reaching goals. I usually approach a new exercise regime enthusiastically but quickly lose that enthusiasm. It’s been over 2 ½ years and I am working out 3 days a week and really miss the days when conflicts prevent me from attending. If I walk in to TNB feeling tired or less than eager to work out, I always walk out thinking it was worth my time and effort because I know it will give me the boost and pep to keep going strong the rest of the day. 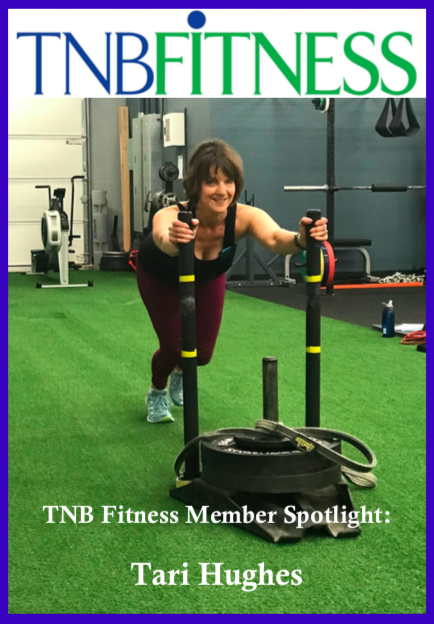 If you are looking for program that allows you to discover yourself in an individualized, supportive environment, look no further than TNB Fitness. It really is the best investment you can make if and when you decide that nothing is more important than your health. Complete this sentence - TNB is like... The bar in Cheers where everybody knows your name, they understand your shortcomings and they’re always glad you came! How long have you been a member of TNB FITNESS? What initially attracted me to TNB Fitness was that it is women only and 0.3 miles from my home. I decided to join TNB after meeting with Tash at the initial consultation. At the time, my BMI was considered overweight. Most of my family struggles with obesity and I did not want that to happen to me. I wanted to get and stay fit so I could live a healthier and happier life. I can tell a huge difference already. I have lost 15 pounds, I am so much stronger, and I have a lot more confidence. My sleep and overall quality of life have also improved. TNB keeps me motivated because the workouts change regularly. It is not the same thing over and over again. I increase repetitions and weight after just a couple of workouts which is encouraging and shows I am getting stronger. My BMI is also now considered in the normal range. Definitely try it out! The trainers are great and no one is there to judge you. Complete this sentence - TNB is... totally worth waking up early to work out before work (I have never said this before in my life because I love sleep). A close friend recommended TNB to me and I decided to check it out. I had spent the last 5+ years trying to recover from a back injury, and was frustrated by multiple setbacks. It seemed every time I would start making progress, I’d re-injure my back and be behind where I’d begun. I was impressed that Tash took so much time with the initial consultation—not only with the physical assessment, but with getting to know my story, my physical challenges, and my goals. I appreciated that it is a women-only environment, and that my TNB membership would help support the non-profit side, The New Beginnings Center. I feel stronger and have much more confidence in my body’s capabilities. I no longer feel limited by past injuries to my shoulder, wrists, knee, and back. I’m able to do more than I thought I was capable of, and would’ve been too scared to try (such as a kettle bell deadlift). I’m always inspired by what the other ladies are able to do, and at first I wondered if I’d ever get there. I’m excited to see that I’m making steady progress, both inside and outside the gym. Many exercises that I once needed assistance or modifications for, I’m now able to do without assistance or modifications. Yay! It’s also so encouraging to see that although I may struggle when I begin a new workout, I’m doing more reps and/or heavier weights within just a couple of training sessions. Outside of the gym, I’m walking more and more miles, and can accomplish moderate hikes. Soon I know I’ll be able to bike again, hike strenuous trails, and even hike carrying a backpack! A long-term goal of mine has been to hike The Camino de Santiago when my son starts college. The Camino is a 770km route from St Jean Pied de Port in the French Pyrenees to the cathedral of Santiago de Compostela. Before I started training at TNB, I was so discouraged I had begun to fear I would never be able to accomplish that. Now I know that it’s not a matter of IF I’ll be able to hike the Camino but WHEN. TNB has provided me with the results that come from consistently showing up at the gym and following a varied, progressive training program. Most of all, the trainers at TNB are amazing! Tash, Gabe, and Marielle are so very positive and encouraging. I have used other trainers in the past, and did not respond well to a one-size-fits-all program or someone yelling at me to push myself. 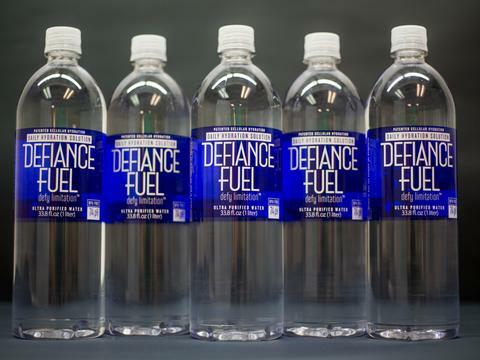 My experience at TNB has been nothing like that! I know without a doubt they are there to help me to safely challenge myself and to meet my goals. They always ensure that I’m using proper form and “meet me where I am”, modifying workouts if necessary, or showing me additional stretches to do if my muscles are stiff or sore. For example: My back seized up after a weekend of boating last fall. When I was able to return to the gym, the trainers were great at helping me to recover by modifying my workout. They taught me stretches and exercises to not only address my back pain, but to help me prevent it from happening again in the future. Do it!! You will be so very glad you did! 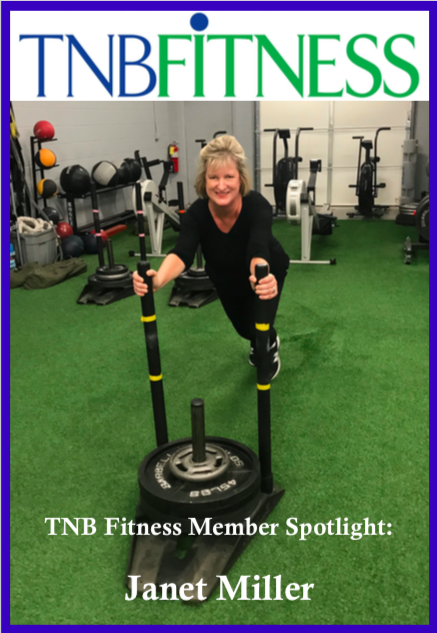 When it comes to meeting health and fitness goals, nothing can compare to the knowledge, guidance, and encouragement you receive from the trainers at TNB. Complete this sentence - TNB is encouraging, challenging, and TOTALLY WORTH IT!